The village was saved and a hand was stayed. Kuse Yatsumi has bridged the gap and escaped the trap. Far from there, we ask: What is the secret of the little girl who screams? It may take more than a wandering warrior to find out. The Killer Butterfly story continues in issue 06, The little Girl Who Screams. Scrawled and scripted by Drew Spence. He’s a different person, now. Two unlikely warriors embark on an epic journey to rid their world of the alien Daemons. Their quest will take them to the edge of madness and face to face with an evil so old and ancient- it has turned monsters into myths and the hopeless into heroes. Drew Spence, The creator of the Force Six, The Annihilators comic series recaps and goes over the Season II story arc the Incendiary. 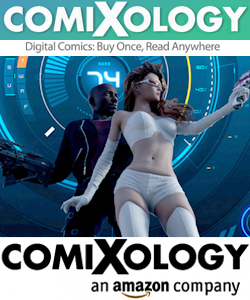 This series and more are available on comiXology. It’s a twist of flaming fates and turning temperatures as Force Six member Kojin Ahsaguri takes on three -for two reasons and only one will survive. Force Six episodes 19, 20 and 21 are combined into one hot adventure. 96 pages, full color. Series created and illustrated by Drew Spence. Drew Spence is a graphic comic writer and illustrator from the United States. He creates under the title of The Dynamic Universe. He has combined his music and video into several works- including Mark of the Griffin, which is both a graphic novel and web series. 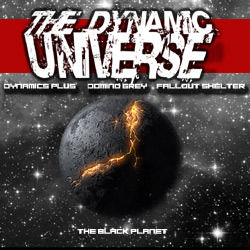 He’s also part of the instrumental group Fallout Shelter which provides the soundtrack. 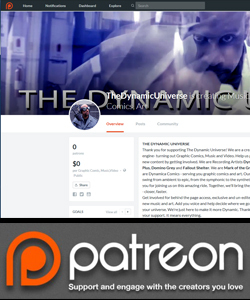 The Dynamic Universe maintains a YouTube channel with various videos related to the creative arts. 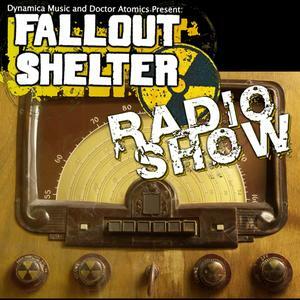 Wild in the Fallout Shelter. Drew Spence, the creator of the Force Six and Killer Butterfly comic series, speaks on the ‘boring’ parts of your comic. There’s a desire to rush past the lulls and jump straight to the action. He speaks as a creative and suggests the pauses are necessary to prime the reader for the action – to give meaning to the melee. The Panel previews are from Force Six season III episode 24 The Misused Muse. Don’t forget to subscribe and activate those notifications. You can find the more technical webinars based on 3D and comic art at the Daz Store under the Digital Art Live Magazine vendor. And read the digital comics, based on his creative vision. Or follow The Dynamic Universe on social Media. Don’t forget to subscribe to this channel and activate the notifications. The Force Six members remember the memories that never fade. The light of a distance star reaches us long after its fire has burned out. Echoes of the past resonate in the present and touch the strings of fate. 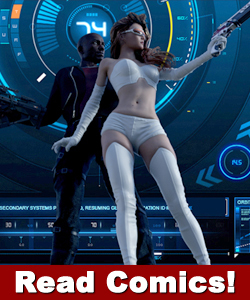 Join the futuristic assassination squad as they recount past stories of glory. It’s Season III of Force Six, The Annihilators. Episodes 22 through 31 are combined into one massive collection. Included Arcs: Wheels and Cogs, The Misused Muse, Challenge of the Champions and Crash and Burn: Speed Kills. 376 pages full color. Fate Versus Destiny Season III Finale! Season III Finale in Flames! As always we thank you for your readership and support. After a brief pause, The Force Six, Annihilators will be back with Season IV. We are The Dynamic Universe. 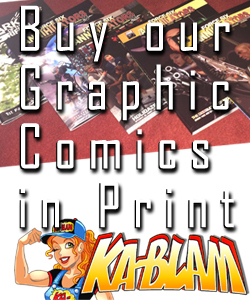 We create graphic comics. They sit between traditional strips and a 3-D style of photorealistic drama. Enjoy the science-fantasy action adventure with terrific tints, great graphics and compelling story-telling. 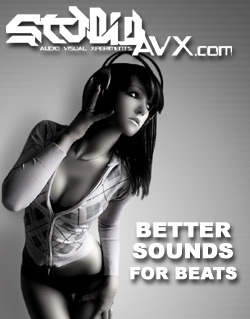 Read the comic and enjoy the soundtrack. Story and art by Drew Spence. It’s a contest of champions when the UFWA attempts to unify the Universal Heavyweight Championship. The Oberon Authority wants the civilian Alexi Alito beaten and the Renegades want to beat the totalitarian regime to the punch- literally. Challenge of the Champions combines season III episode 25; The Champion and episode 26; The Challenge into one explosive package. 88 pages, full color. Marked and matched by Drew Spence.